These are garage doors from the Amarr Classica line. Many other styles are available. 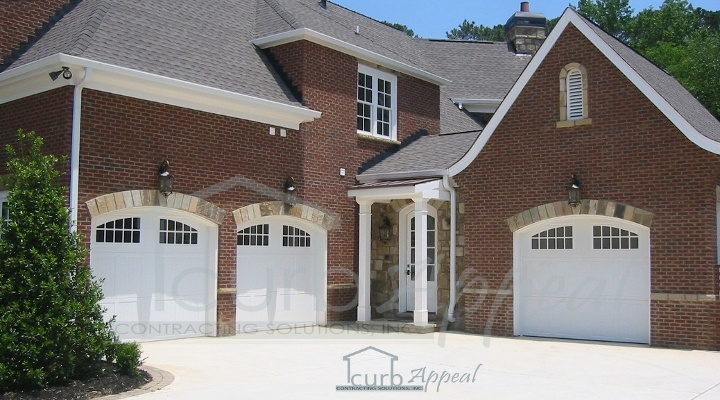 The garage doors pictured above feature an arched top with decorative inserts. Classica model garage doors are constructed of a stamped steel to give the appearance of a carriage style garage door. There are a multitude of different panel designs giving you control over the finished look. 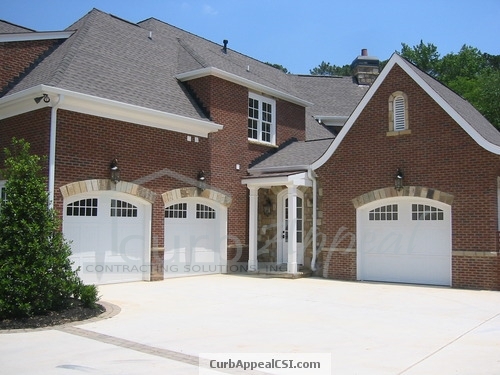 Classica garage doors are an economical choice for achieving the visual style of a carriage house garage door while keeping the price down, and lowering maintenance costs.